North East England is a dream destination, especially for nature lovers. With a rental car you can comfortably drive to your desired destination in North East England and go for hikes or bicycle tours. 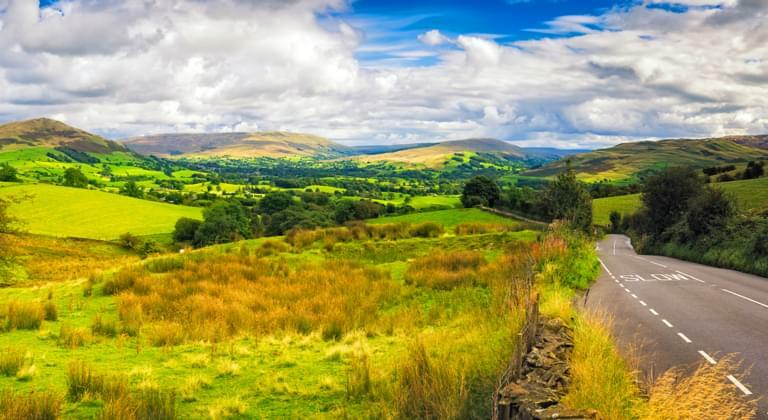 You could also get into your rental car and drive to one of North East England's lakes and take a long walk. You can find the right vehicle for your plans on Driveboo.com. Compare the offers of car rental companies in North East England easily from the comfort of your sofa and book the cheapest rental car for North East England. Rental car North East England: Where can I find car rentals? Choose the suitable vehicle model for your roadtrip in North East England on Driveboo.com. To explore the cities and villages of North East England, a small car will be an excellent choice. If you want to go hiking, then rent an SUV. And if you need a lot of storage space for your luggage, just take a minivan. Whatever your plans for North East England look like, you will find the suitable rental car on our portal. Don't forget to take out the right insurance for your rental car! We recommend a fully comprehensive insurance without excess. In that way you will drive stress-free even in the event of damage! Which other cities in England should I visit? The table below shows other exciting cities in England that are definitely worth a trip by rental car. You can also see the distance and travel time by car from Newcastle.